I’ll get back to Philippians, but I thought I’d take a minute to reflect on the events of eleven years ago today. We had just moved from Memphis back to Kansas. I was in about my third week of teaching at Manhattan Christian College. My son was still in Memphis and had been in an accident. I had been on the phone with him that morning. I didn’t have an early morning class that day, but we did have a chapel service at 10:00 AM. I was driving an old beat up pickup at the time, which didn’t have a working radio. My commute to work is 27 miles. I enjoyed the scenery on my way in. Sonja had taken a job traveling to different cities to work in her profession as a health information coding specialist. She had been in Milwaukee the last three weeks, working a four-day work week and coming home on weekends–and it was not working out. On Sunday evening she drove to her sister’s house in KCK, to go to the airport early Monday morning. Monday afternoon she showed up back in Manhattan and said “I’ll explain later.” She had an interview at Wamego City Hospital and accepted the job. Meanwhile I arrived on campus a little before ten. I went into our chapel and things seemed confused. The college president, Ken Cable, was there and explained we would be dividing into prayer groups. I still wasn’t sure what had happened. I heard someone mention the Twin Towers. I said, no that was five or six years ago, and the explosion was a failure–a car bomb in the parking garage. There were a few people killed, which is tragic enough, but it didn’t bring down the towers, and I believe they arrested the bomber. I eventually learned what had happened. I stayed in the chapel and prayed for a few minutes, then wandered back to the faculty building where some of my colleagues were watching a television. We saw the second airplane hit the building then. At some point, I believe I must have talked with my dean and told him I needed to go back to Memphis because of a family emergency. I went home and watched TV for a while, stunned. Then got in my truck, filled up with gas, grateful that the local gas station had not raised the price, and headed down the road with a cheap transistor radio. I remember thinking, “I’ve got a family emergency, I don’t have time for a national crisis.” Not a rational thought, just part of my confusion. The skies seemed eerily calm. It was a clear day. At some point I noticed trails in the sky from fighter jets patrolling from nearby Fort Riley. At that moment it seemed comforting that they were protecting us. And I was glad Sonja was home. She would have been stranded in Milwaukee, was it three weeks before air travel resumed? Click on image for more Kurt Vonnegut quotations. Are those thoughts contrary to the teaching of the Bible, or more specifically the teaching and practice of Jesus? Evidently a school board in Republic, Missouri thought so and removed the book Slaughterhouse Five from the high school curriculum. It’s been a while since I read the book. I suppose there was some profanity in the language of some of the characters. I don’t particularly like that and I tend to tune it out. But that’s not what I remember about the book. Slaughter House Five is one of the great anti-war books of recent times, one that makes us question our righteousness even in the one war we consider just, noble, and necessary. My cousin read the book his senior year in high school, just before embarking on a career in the air force. He thought it was a great book. The questions raised by Vonnegut didn’t stop him from serving his country. 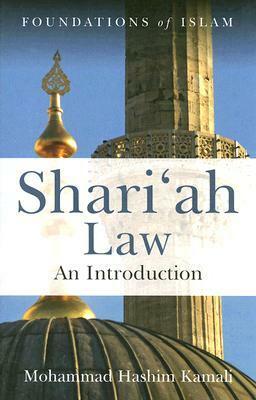 I think everyone who is going into the military should read the book. 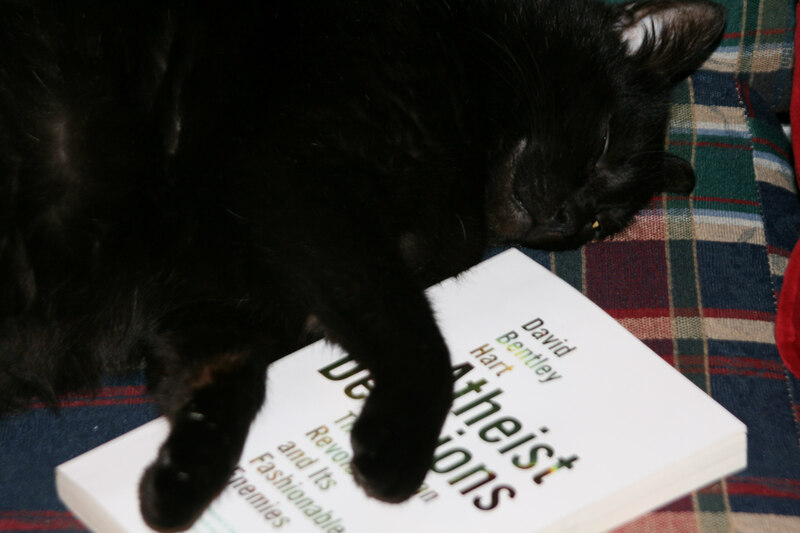 Kit-Kat and I read David Bentley Hart’s Atheist Delusions over the weekend. The question of existence does not concern how it is that the present arrangement of the world came about, from causes already internal to the world, but how it is that anything (including any cause) can exist at all. The real point of Hart’s book is indicated by part of the subtitle, “The Christian Revolution.” The book is primarily a historical essay on the influence of the Christian Gospel. Hart is not primarily defending the church as an institution or Christendom as an ideal civilization. He is tracing the influence of the Gospel’s revolutionary ideas that each human being is created in the image of God and is of infinite worth. Had our ancestors not once believed that God is love, that charity is the foundation of all virtues, that all of us are equal before the eyes of God, that to fail to feed the hungry or care for the suffering is to sin against Christ, and that Christ laid down his life for his brethren . . .
Had we not inherited a civilization based on these beliefs, we would never have come to believe in human rights, economic or social justice, or the basic human dignity. Hart describes the basic brutality and inequality inherent in the classical civilization that Christianity replaced. Then he describes the unspeakable horrors brought by the secular societies that replaced Christianity–the more than 100 million victims of mass murder in the 20th century. In the process of his narration, Hart corrects many myths about Western history, including myths about witch hunts, the ignorance of the middle ages, and the antagonism between the church and science. One essential difference between the Christian vision of reality and the post-Christian version is the definition of freedom. In the Christian vision freedom means the opportunity to develop one’s true nature, to become what one is meant to be. In the secular, post-Christian world, freedom means the arbitrary and spontaneous exercise of one’s choice, free from all restraints. When secular rulers began to exercise their will uninhibited by the restraints of conscience, the results became genuinely horrendous.